Mix altogether leaving some chocolate chips to sprinkle on top the next day. 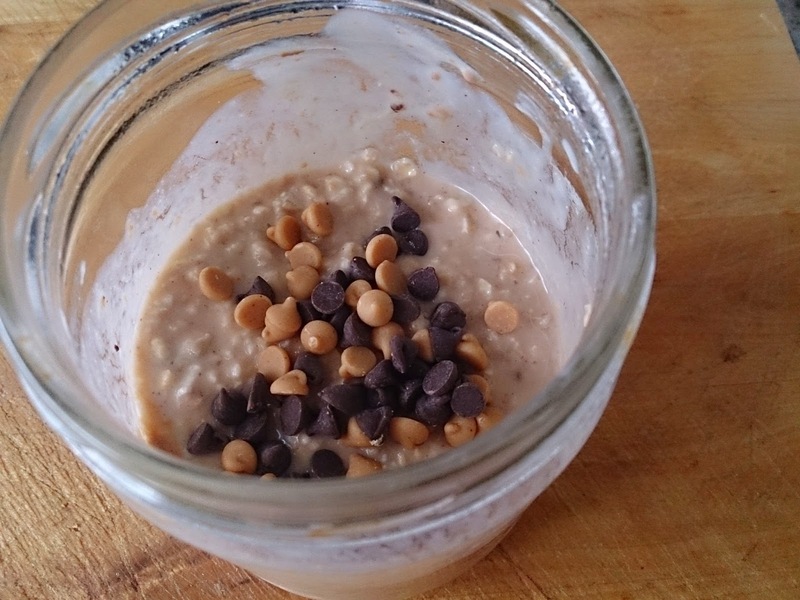 Put it fridge overnight and stir in the morning and top with leftover chocolate chips If too thick which mine wasn't you could add more skim milk. If you use almond milk that would bring it down 1pp. Looks Great! I will need to try this week!